Save on your next flight from SGF to TDX when you book through Travelocity. Need a last-minute flight to Trat? Travelocity offers discount airfare no matter when you book, even on popular routes such as Springfield-Branson National Airport to Trat Airport. Whether you need a direct or indirect flight, you can trust Travelocity to provide you with the best prices for SGF to TDX flights. Explore Trat with Travelocity's Travel Guides to find the best flights, cars, vacation packages and more! 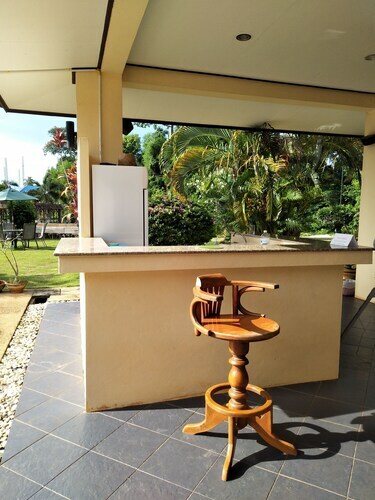 Situated in Laem Ngop, this guesthouse is 4.6 mi (7.3 km) from Ao Tan Beach and within 12 mi (20 km) of White Sand Beach and Koh Chang Ferry Terminal. Black Sand Beach and Ko Chang National Park are also within 12 mi (20 km). 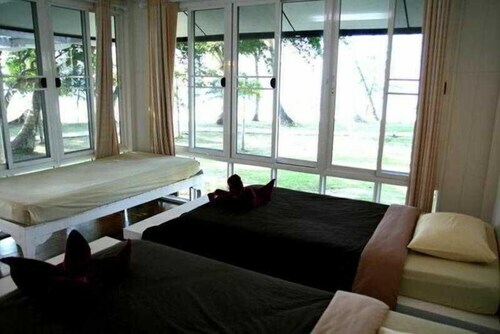 Situated in Laem Ngop, this hotel is 5.2 mi (8.4 km) from Black Sand Beach and 9.9 mi (15.9 km) from Ao Tan Beach. White Sand Beach and Koh Chang Ferry Terminal are also within 16 mi (25 km). 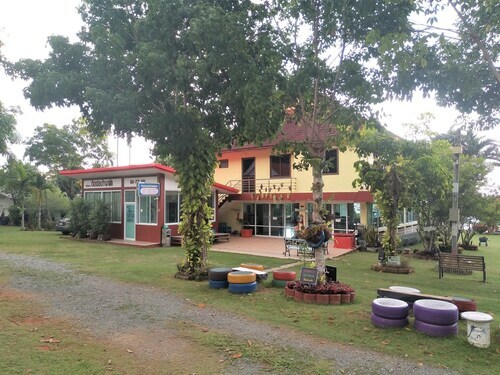 Situated in Laem Ngop, this hotel is 1.5 mi (2.5 km) from Ao Tan Beach and within 9 mi (15 km) of White Sand Beach and Koh Chang Ferry Terminal. Ko Chang National Park and Centre Point Ferry Pier are also within 9 mi (15 km). This Laem Ngop hotel is on the beach, 2.7 mi (4.3 km) from Ao Tan Beach, and within 9 mi (15 km) of White Sand Beach and Centre Point Ferry Pier. Klong Prao Beach and Pearl Beach are also within 12 mi (20 km).